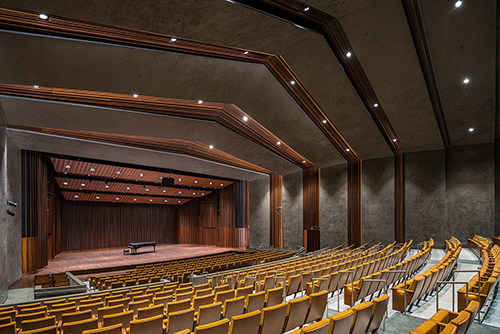 Hot Springs, Arkansas – Associated Builders and Contractors (ABC) of Arkansas announced that Manhattan Construction Company’s work on the Faulkner Performing Arts Center at the University of Arkansas has earned the company first place in the category of Historical Restoration/Renovation Over $10 M in ABC’s Excellence in Construction awards. Manhattan Construction accepted the award on April 9th during the annual ‘Excellence in Construction’ celebration at the Clarion Resort on Lake Hamilton in Hot Springs, AR. The owner of this project is the University of Arkansas. The architectural/engineering firm was Allison Architects, Inc.
We are excited to share that Manhattan Construction Company Safety Manager Brandon Batt has been selected by Construction Equipment Magazine as a 2016 Under 40 award winner. The Under 40 in Construction Equipment Awards honors those under 40 years of age who will lead the equipment industry into the future. “Brandon is a model employee who exemplifies Manhattan’s commitment to Safety Excellence,” says Brian Killion, Vice President of Operations. While in the United States Army, he was a notification trainer and mission leader to the WIA and KIA (Wounded in Action and Killed in Action) notification branch. This exposed him first-hand to the casualties of war, and through that experience, he learned the direct impact that a debilitating injury or death can have on an individual and their family. This drives his commitment to accident prevention. Arlington, Virginia – Elaine Gray has joined Manhattan Construction Co. as director of business development for the company’s Washington, DC-area office. She has more than two decades of commercial design and construction experience specifically in the higher education, commercial office, multifamily, hospitality and federal business sectors. She is responsible for leading strategic business development, market intelligence and research, client engagement and long-term client relationship management for the Mid-Atlantic region. Prior to joining Manhattan, Gray served as business development director for leading firms in the design and construction industries in the Washington, DC area. She also taught a business development and executive skills course at the University of Maryland, Colvin Institute, Master in Real Estate program. She is a published author in industry publications, including Development magazine, Commonwealth Contractor magazine, and Society for Marketing Professional Services (SMPS) newsletters. 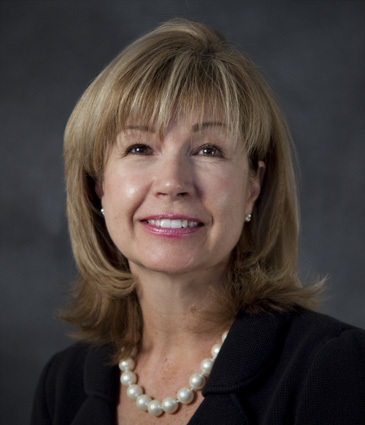 She has served as president and advisory council member of the Washington, DC Chapter of Commercial Real Estate Women (CREW); board member of the District of Columbia Building Industry Association (DCBIA); and, on the Education and Government Relations committee of the National Association of Industrial and Office Properties (NAIOP). OKLAHOMA – Oklahoma-based, Manhattan Construction Company has announced a new regional leadership structure with the appointment of 30-year construction veteran Hugh McCoy as senior vice president. He will provide executive management of Manhattan’s offices in Oklahoma and Arkansas. Manhattan also named Larry Rooney as vice president of the Tulsa office, serving Northeastern Oklahoma and Arkansas, and Kevin McKay as operations manager for the Oklahoma City office, which is led by Vice President Mark O’Rear. 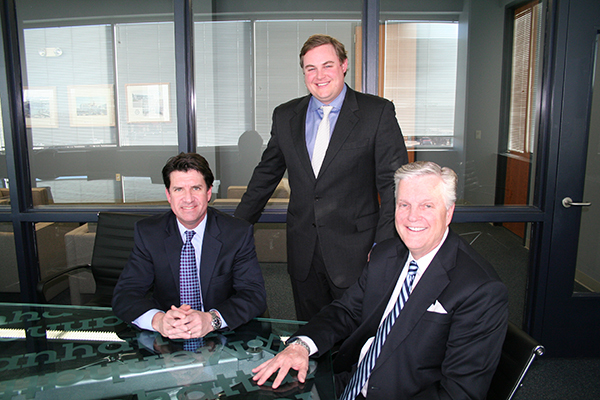 Manhattan Construction Company’s Oklahoma Leadership team left to right: Oklahoma City Vice President Mark O’Rear, Tulsa Vice President Larry Rooney and Oklahoma Senior Vice President Hugh McCoy. Larry Rooney previously served as director of preconstruction in Tulsa and is a fifth generation member of the company’s founding family. Manhattan Construction has been owned by the Rooney family since it was founded in Oklahoma Territory in 1896. It was the first company to incorporate in the State of Oklahoma. Prior to joining Manhattan, McCoy was vice president of Reeder Construction. McCoy brings experience in planning, programming, design and construction of major commercial, institutional, industrial/manufacturing and aviation projects throughout the U.S. and abroad. He holds a master’s degree from the College of Architecture, Planning and Design from Kansas State University. He has written and published numerous manuscripts and articles for various technical journals concerning the construction project delivery process. Rooney’s portfolio of experience includes more than $1.25 billion in construction projects. Originally from Tulsa, he earned a Bachelor of Science in Mechanical Engineering from the University of Notre Dame. After graduating, he spent six years working for Turner Construction in Chicago before joining the family business as an estimator in Manhattan’s Houston office. In 2013, Rooney transferred to his hometown of Tulsa where he served as director of preconstruction. He is an active member of the Tulsa community and serves on the board of the Tulsa Regional Chamber and the advisory board of Tulsa’s American Cancer Society, including serving as a Baron in 2015. He is also a U.S. Green Building Council LEED Accredited Professional (AP) and graduate of Leadership Tulsa Class 51. “We are also eager to welcome Kevin McKay back to Oklahoma as operations manager of our Oklahoma City office after leading our field teams on some of our most high-profile projects in Texas,” said Reyhan. 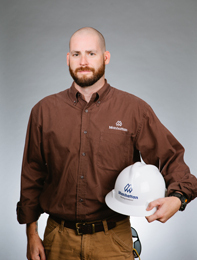 Prior to joining the Oklahoma City office as operations manager, McKay served as operations manager in the Houston-area office. During McKay’s 33-year career at Manhattan he has worked on more than $2 billion projects across four States, including Oklahoma, Louisiana, Texas and Virginia. He served as the field leader for multiple high-profile projects including AT&T Stadium, home of the Dallas Cowboys, and Texas Rangers Ballpark, home of the Texas Rangers, both in Arlington, Texas; George W. Bush Presidential Center in University Park, Texas; River Center in San Antonio, Texas; New Orleans Sports Arena in Louisiana; and First Baptist Church in downtown Dallas, Texas. Manhattan Construction Company Superintendent Bryan Hensley has been selected by Oklahoma Magazine as a “40 Under 40” Class of 2016 honoree. Each year Oklahoma Magazine recognizes 40 young professionals who have worked hard to be successful at a young age. Hensley’s profile story is located in Oklahoma Magazine’s April 2016 issue and also on their website. Hensley started his career at Manhattan on The University of Oklahoma (OU) campus. During his five years at Manhattan Construction, he has been involved in more than $100 million in projects, many of those award-winning projects including the Osler Hotel Renovation, OU Jan Marie and Richard J. Crawford University Club Renovation and the OU Lecture Hall project. Hensley is currently serving as superintendent at the historic Oklahoma State Capitol Interior Renovation project. In his spare time, Hensley enjoys spending time with his kids and fishing at the lake. He also volunteers for Rebuilding Together OKC, an organization that works to improve the homes and lives of low-income, elderly homeowners in the Oklahoma City metro area. Hensley served in the United State Marines Corps for four years before graduating from the University of Central Texas College in 2005. You are currently browsing the Manhattan Construction Group blog archives for April, 2016.